Sri Latha is an Indian Actress, who is working in Tamil television industry. She was born in Chennai, Tamil Nadu. Latha made her acting debut in the Tamil television serial “Thendral” along with Deepak Dinkar, directed by S.Kumaran and produced by Vikatan Televistas Pvt Ltd. She also acted with well-known actors like Syed Anwar Ahmed, Vijay Anand, Kavin, Dharish and Karthik. She has appeared in some well known serials such as Rekka Katti Parakkudhu Manasu, Saravanan Meenatchi and Avalum Naanum. Sri Latha currently doing the supporting role in Avalum Naanum serial along with Kannan in Vijay TV and Rekka Katti Parakkudhu Manasu serial along with Siddharth in Zee Tamil. Sri Latha as Seetha role in Thendral serial. Sri Latha as Gayathri role in Avalum Naanum serial. 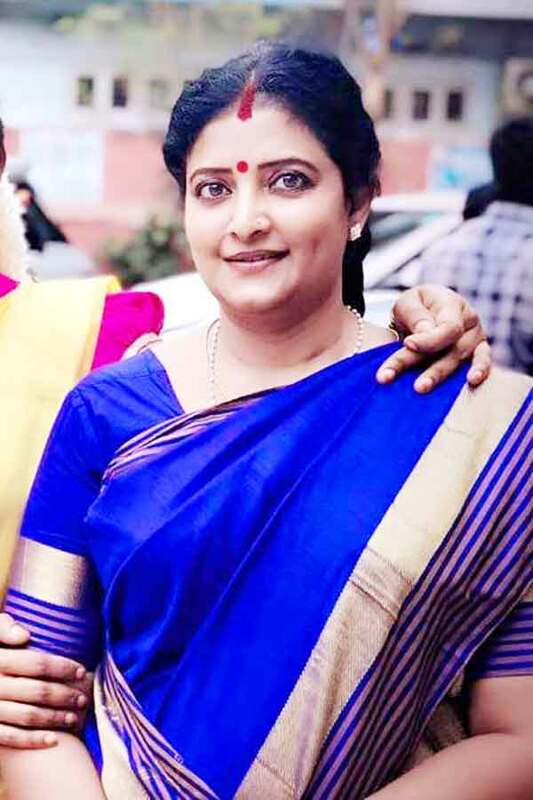 Sri Latha as Amutha role in Rekka Katti Parakkudhu Manasu serial. Rekka Katti Parakkudhu Manasu, Thendral, Avalum Naanum, Star Kitchen, Saravanan Meenatchi season 2.